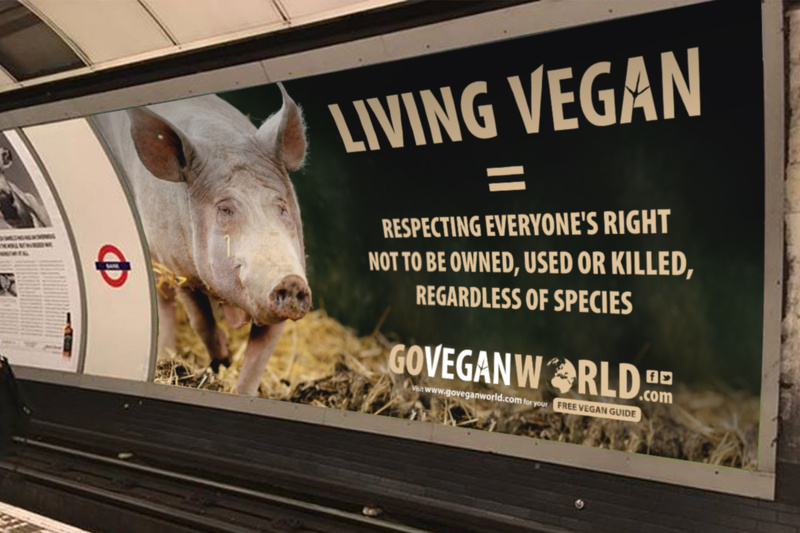 Go Vegan World is running a massive campaign across Ireland and the UK during Christmas and the New Year. It features over 2000 innovative ads that encourage people who are not yet vegan to consider becoming vegan as a way of living that protects the rights of other animals. It is important at the outset to define veganism as a way of living that protects the rights of other sentient animals. Other animals share our capacity for physical and psychological feelings. They have brains that enable them to be aware of themselves and their world. Therefore, in recognition of these facts, they share our fundamental rights not to be owned, used, harmed or killed. 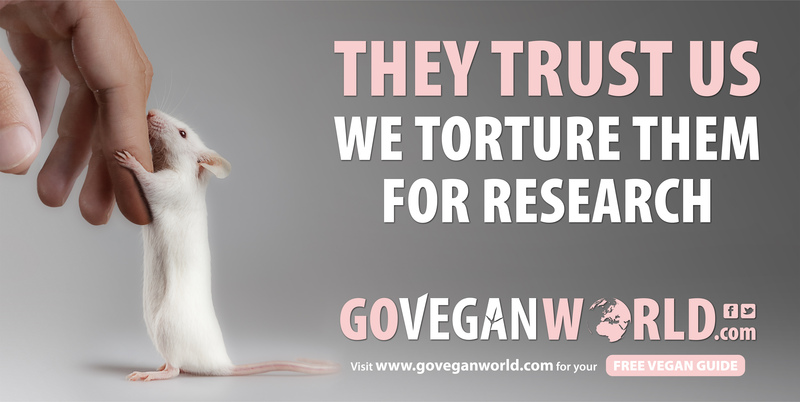 Landmark Ruling for Tortured Laboratory Animals. Advertising Standards Authority (“ASA”) upholds Go Vegan World’s claim that animals are tortured for research.